Before 2017, I was only dimly aware of Cragside House and Estate. I had driven past about five years ago on a holiday in Northumberland, googled the site, and made a mental note to visit next time. If I’d had any idea what lay beyond the NT ticket booth that day I would most certainly have stopped and paid the entrance fee! 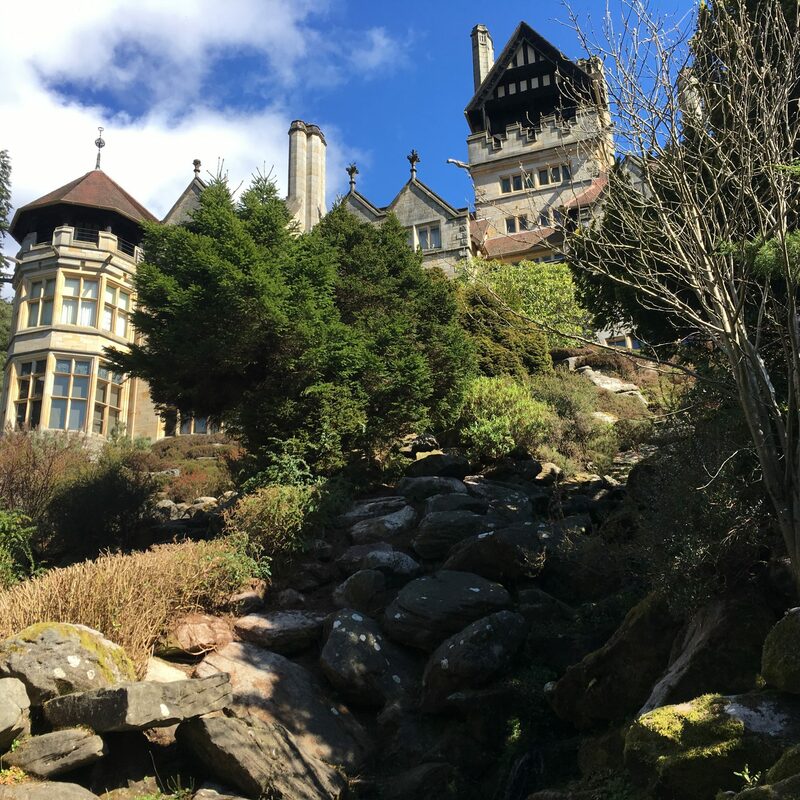 In early January 2017, I pulled together all my previous electricity related exhibits and activities in order to apply for a piece of work with the National Trust at Cragside House and Estate. They were looking for a consultant to develop a new learning and engagement programme to complement the re-opening of the “Electrical Room”. I was interested because I have been watching developments at the National Trust closely since the launch of the ’50 things…’ campaign. Over the last few years, the idea of a ‘National Trust visit has changed; no longer limited to the over 50s who enjoy a scone and some decorative arts, NT visits are now all about family, sticks, wellies and mud, fun and playing. One thing National Trust visits are not often about is Science. But at Cragside, the science stories are spectacular. 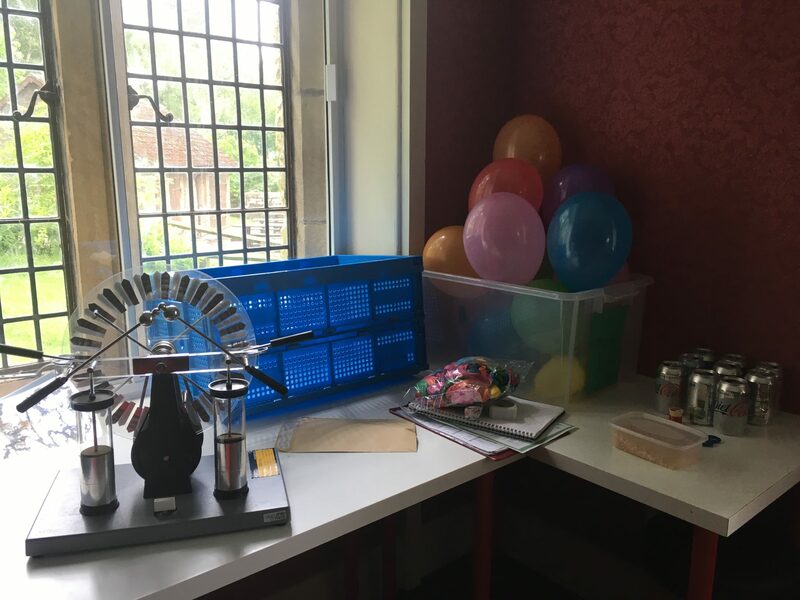 So with my experience with electricity demonstrations and science communication, and being interested in the National Trust’s engagement with family audiences, I was excited to work with them on this learning and engagement programme for both schools and families. The first time I visited the site it was closed for the filming of The Current War starring Benedict Cumberbatch as Thomas Edison; which felt very relevant. The next time I travelled down (only 2 hours drive from Edinburgh!) I was able to explore the House and Estate in depth and was absolutely blown away by the beautiful environment and the stories. There are a number of components to the electrical stories of Cragside and Lord Armstrong. After research and consideration, I decided to divide the material into three stories. 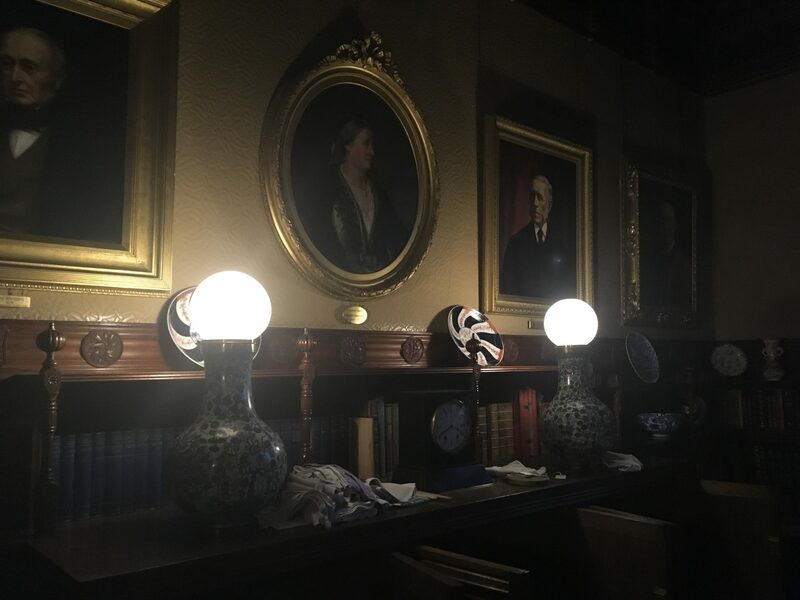 One would be about understanding the electrical lamps in the library – the famous lamps built by Lord Armstrong, using bulbs just invented by his friend Joseph Swan. This involved a hands-on exploration of basic electrical circuits and bulbs as well as creating working models of the copper lamps. The second story was the generation of electricity. How electricity was and is generated and how Armstrong generated power in the late 1800s. His forward-thinking ideas about fossil fuels vs. Renewables, and what the future looks like for electricity generation in the UK. 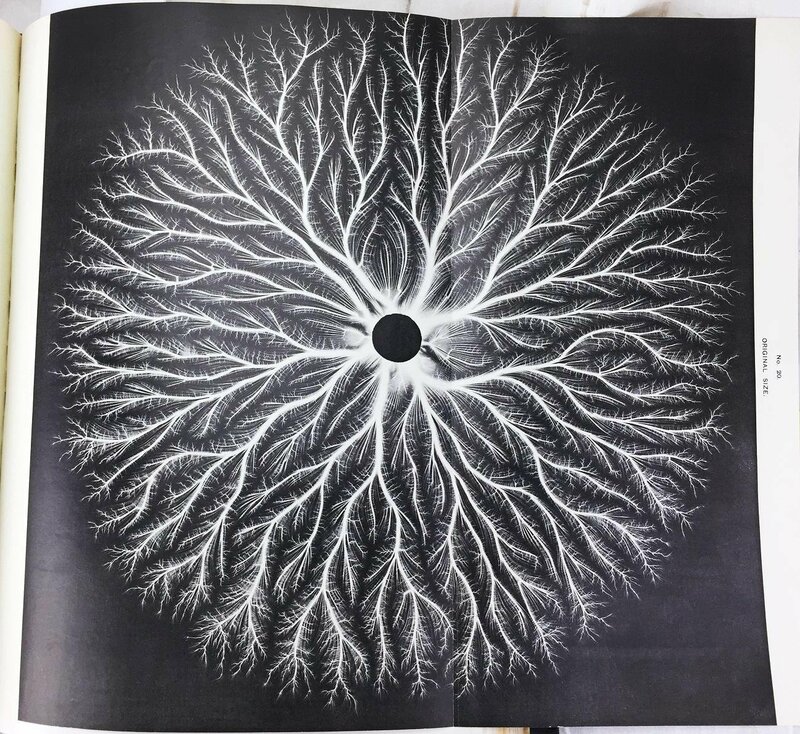 And finally, there’s the story of Armstrong as “Magician of the North” and his high voltage experiments to create and photograph electrical sparks in air and water. We ran our first family workshops in Science Week in March and evaluated the response from visitors. We ran another workshop and some in-room demonstrations over the Easter Holidays when I began to get a sense of the popularity of the site and what it means to local and tourist visitors. In June, we tested the workshops for KS2 with local schools. And just recently we finalised the self-guided resource for KS3/4 and interested visitors. Overall, it was a fantastic project to be involved with. 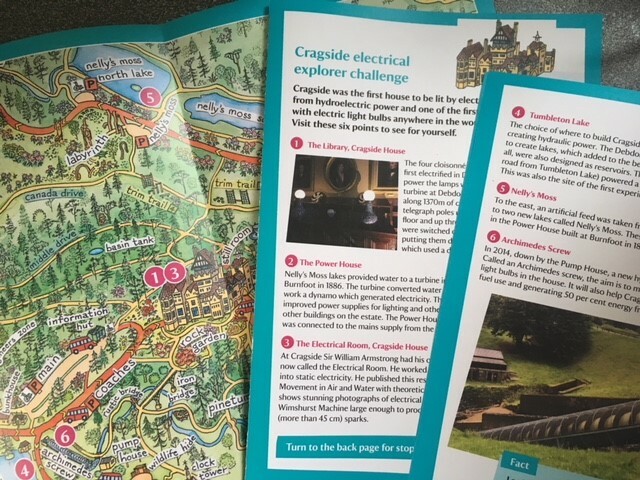 I was so pleased to be able to help the staff of Cragside to increase their own confidence with this subject matter as well as find ways to engage their visitors with the science of electricity and give a bit more of a sense of Armstrong the scientist. And I will definitely be back at Cragside in 2018, with my family, as a visitor!